Mr. Bassett is Managing Director with Fi-Tech, Inc, a Manufacturer’s Rep Agency serving the nonwovens and synthetic fibers industries. He has been with Fi-Tech for 25 years and is currently the Chairman, INDA. Fi-Tech sells machinery and process components to the Nonwovens Industry and serves the North American Market through offices in Richmond, VA and San Luis Potosi, Mexico. Mr. Marold is President of Lydall Performance Materials. He was formerly the Chief Operating Officer of Sontara®, a member of the Jacob Holm Group. Prior to joining Sontara®, Mr. Marold held executive positions at CLARCOR, American Air Filter and Ahlstrom Oy, where he was Senior Vice President of Advanced Nonwovens. He has been a member of INDA since 2001 and has served on the Board of Directors and Executive Committee including serving as Chairman of the Board from 2010 to 2012. Lydall, Inc. is a New York Stock Exchange listed company, headquartered in Manchester, Connecticut with global manufacturing operations producing specialty engineered products for the thermal/acoustical and filtration/separation markets. 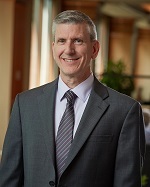 Mr. Astley is President-Advanced Airlaid Materials for Glatfelter, a $1.7 billion NYSE-listed global producer of specialty papers and fiber-based engineered materials. 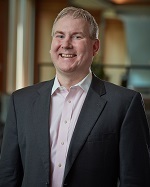 Mr. Astley joined Glatfelter in August 2010 as Vice President of Corporate Strategy, and was later promoted to Senior Vice President, Corporate Strategy, in January 2014. Before joining Glatfelter, he was an entrepreneur leading a privately held business from 2004 until 2010. Prior to that, Mr. Astley held positions with Accenture, a global management consulting firm, and The Coca-Cola Company. 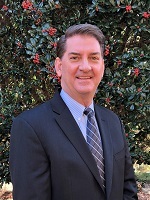 Mr. Astley obtained a Bachelor of Science in Business Administration from the University of Richmond, and a Master of Business Administration from the Kenan-Flagler Business School, The University of North Carolina. Glatfelter is a global supplier of specialty papers and fiber-based engineered materials, offering innovation, world-class service and over a century and a half of technical expertise. Headquartered in York, PA, the company serves customers in over 100 countries. U.S. operations include facilities in Pennsylvania and Ohio. International operations include facilities in Canada, Germany, France, the United Kingdom and the Philippines, and sales and distribution offices in China and Russia. Glatfelter’s sales approximate $1.7 billion annually and its common stock is traded on the New York Stock Exchange under the ticker symbol GLT. Ms. Castle is Director of Americas, Sales for Jacob Holm. She is responsible for leading the North and South American sales teams and global key accounts for multiple segments such as Consumer wipes, Critical Cleaning, Hygiene, and high performance materials. She has been involved in the nonwoven industry and with INDA in various roles. Jacob Holm Group develops unique nonwoven fabrics to meet your challenge. With our young entrepreneurial spirit and over 220 years of business experience, we combine discipline with creativity to bring magic to fabric. Thanks to extensive research and innovation, we continuously add value to our fabrics, such as Sontara®, SoftFlush® and SoftLite®. Today, over 700 employees supported by a worldwide sales and production organization, serve the Hygiene, Consumer Wipes, Beauty Care, Health Care and Industrial markets. 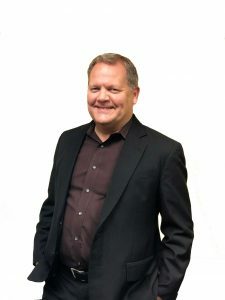 Mr. Balkom is the Interim Sales Director North America Nonwovens, a global producer of specialty glass fiber nonwovens and polyester nonwovens. He joined Johns Manville in July 2001 as a Manufacturing Manager. Mr. Balkom has held various operational and sales positions with Johns Manville since joining in 2001 with a recent promotion to the Interim Sales Director North America Nonwovens position in April 2017. 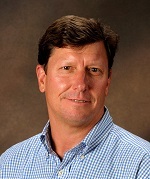 Before joining Johns Manville, Mr. Balkom worked in the roofing industry from 1997 until 2001. Prior to that, Mr. Balkom was an officer in the United States Army. He obtained a Bachelor of Science in Accounting from the University of Florida. Johns Manville, a Berkshire Hathaway company (NYSE: BRK.A, BRK.B), is a leading manufacturer and marketer of premium-quality products for building insulation, mechanical insulation, commercial roofing, and roof insulation, as well as fibers and nonwovens for commercial, industrial and residential applications. JM serves markets that include aerospace, automotive and transportation, air handling, appliance, HVAC, pipe and equipment, filtration, waterproofing, building, flooring, interiors and wind energy. In business since 1858, the Denver-based company has annual sales of nearly $3 billion and holds leadership positions in many of the key markets that it serves. JM employs approximately 7,000 people and operates 43 manufacturing facilities in North America, Europe and China. 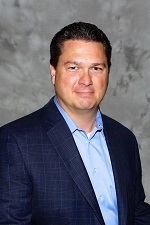 Mr. Barnhardt serves as President / Chief Operating Officer for Barnhardt Manufacturing Company. 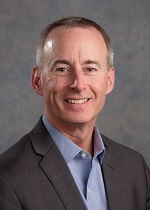 Over his 30-year career with Barnhardt, he has held a variety of commercial and operational roles to lead the company to its market leadership today. Barnhardt Manufacturing Company, a privately held, family owned business, was founded in 1900 by Thomas M. Barnhardt. With corporate headquarters in Charlotte, NC, the Company has additional facilities in Mount Airy, NC, Kinston, NC, Dalton, GA, Griswoldville, MA, Clearfield, UT and Reno, NV. Its products are distributed on six of the seven continents. Ms. Cahill is responsible for finding new opportunities/applications to grow the AMS business with the technologies/products SWM offers. Prior to joining Conwed, she worked for over 20 years with H.B. Fuller. SWM International is headquartered in Alpharetta, GA, publicly traded (NYSE) doing business in over 90 countries with 22 production locations worldwide and over 3100 employees. Philip Champagne, President, Groz-Beckert USA, Inc.
Mr. Champagne is President of Groz-Beckert USA responsible for all sales and technical developments for North, Central and South America. He has 38 years of experience in the field of textiles. Prior to his current position Mr. Champagne was responsible for Groz-Beckert’s sales and manufacturing facility in Quebec, Canada. He holds multiple degrees in Science, Engineering and Business. Groz-Beckert is the world’s leading provider of industrial machine needles, precision parts and fine tools, as well as systems and services for the production and joining of textile fabrics. All around the world, our products and services support the textile processes of knitting, weaving, felting, tufting, carding and sewing. Our family-owned company operates production sites in Germany, Belgium, the Czech Republic, Portugal, the USA, India, China, and Vietnam. Numerous sales affiliates and sales partners complement our international presence with sales to over 150 countries. 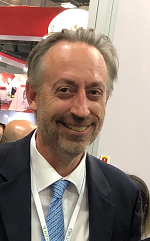 Luca di Benedetto, President, ATEX, Inc.
Mr. di Benedetto is President of ATEX, Inc. and Director of The ATEX Group, a privately owned international spunbond, meltblown, and composite nonwovens manufacturer. Mr. di Benedetto has been with ATEX for 24 years, transferring from Italy to the U.S. in 2000 to begin and manage operations of the Gainesville, Georgia manufacturing facility. Prior to ATEX, Mr. di Benedetto completed a degree in Economics and Business Administration in Milan, Italy. Founded in 1993, ATEX is a privately owned, international spunbond, meltblown, and composite nonwovens manufacturer with operations located in Milan, Italy and Gainesville, Georgia. The products offered are diversified into many different markets, such as: hygiene, medical, industrial, agriculture, sorbents, wipes, filtration, automotive, and more. The ATEX vision is to deliver quality and technically advanced nonwoven rolled good products by focusing on research, technology, employee development, and certified production processes to achieve the highest customer satisfaction and innovative solutions. The Company continuously works to supply flexibility and quick, targeted services required to support rapidly changing businesses and developing markets. 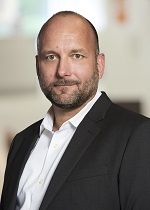 Andreas Dreher, Associate Director, Corporate R&D, The Procter & Gamble Co.
Mr. Dreher is an Associate Director of Corporate R&D responsible for the development of new nonwoven material platforms. He has extensive experience in the development of consumer products across P&G’s portfolio of brands. Prior to his current assignment, Mr. Dreher served as a Section Head in Baby Care Process & Engineering, responsible for developing high speed diaper converting unit operations and processes. Ricardo Fasolo, Managing Vice President, Fitesa Inc.
Ricardo Fasolo is Managing Vice President for Fitesa in North America. He is responsible for all operations, sales, business development and all the P&L related activities for the region. Mr. Fasolo has been with Fitesa since 2005. During this period, he has worked on various roles from leading the supply chain management in Latin America to Sales in the USA. Prior to join Fitesa, Mr. Fasolo was working for a Tier 1 supplier for OEM responsible for producing assisted steering gear systems. Fitesa is a leader in the nonwoven fabrics industry, specializing in providing innovative fabrics for the hygiene, medical, and industrial markets. Fitesa makes Spunmelt, Carded, Airlaid, and Specialty fabrics for applications in baby care, feminine hygiene, and adult incontinence, as well as medical, agricultural, and industrial products. Fitesa operates 13 manufacturing locations in 9 countries. 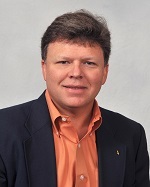 Dr. Haynes is the Director of Research and Engineering in Global Nonwovens at Kimberly-Clark Corporation. He has been with Kimberly-Clark for 26 years and has 43 U.S. Patents and 13 Trade Secrets. Dr. Haynes received his B.S. and M.S. in Aerospace Engineering and Ph.D. in Mechanical Engineering from the University of Tennessee. He is also an Adjunct Professor at The University of Tennessee in the Department of Mechanical, Aerospace and Biomedical Engineering. 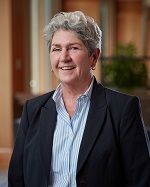 Dr. Haynes serves on the External Advisory Board for the School of Materials Science and Engineering at the Georgia Institute of Technology and on the Board of Directors as Secretary for Georgia FIRST which is a non-profit organization that supports STEM programs in Georgia, including FIRST (For Inspiration and Recognition of Science and Technology) Robotics, Lego League, etc. 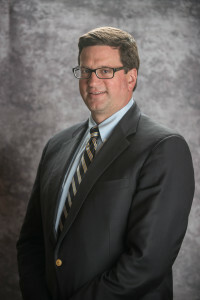 Jeffrey S. Hurley, Ph.D., Vice President, Nonwovens, Nice-Pak Products, Inc.
Dr. Hurley is the Vice President of Nonwovens for Nice-Pak and is a member of their Operating Committee. He has overall technical and innovation responsibility for all aspects of their nonwovens from supply partners through consumers. He has been with Nice-Pak since 2011 and prior to that with Buckeye Technologies and Hoechst Celanese. Nice-Pak is a family-owned global business that has pioneered wet wipes for nearly 60 years since our founder Arthur Julius invented the world’s first disposable wet napkin: Wet-Nap®. Today, Nice-Pak is the world’s leading producer of wet wipes, developing hundreds of products for the consumer, foodservice, healthcare and other commercial markets to help families live cleaner, healthier lives. 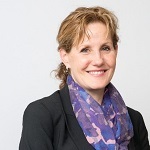 Ms. Kelly is the Senior Vice President of the Care business for Suominen Nonwovens responsible for the development and execution of the strategy for the hygiene and medical business area. She has extensive experience in global nonwovens organizations implementing sales, marketing and business development. 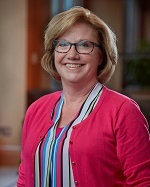 Prior to joining Suominen, she was at First Quality Nonwovens as the Global Director of Medical and Wipes responsible for the establishment of First Quality Nonwovens in the medical and wipes merchant market. Prior to joining First Quality, she was a Business Unit Manager for Medical & Consumer Fabrics for BBA Nonwovens/Veratec/International Paper. She is currently an advisory board member for a hygiene start up called ATTN:Grace. A member of the prestigious Boston Club, for recognizing women leaders in business and community. Suominen manufactures nonwovens as roll goods for wipes as well as for medical and hygiene products (Care business area). The end products made of Suominen’s nonwovens – wet wipes, feminine care products and swabs, for instance – bring added value to the daily life of consumers worldwide. 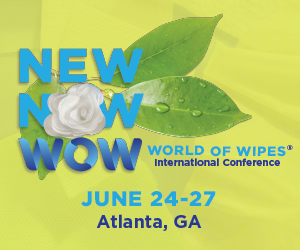 Suominen is the global market leader in nonwovens for wipes and employs over 650 people in Europe and in the Americas. Suominen’s net sales in 2017 amounted to EUR 426.0 million and operating profit to EUR 15.0 million. The Suominen share (SUY1V) is listed in Nasdaq Helsinki Stock Exchange (Mid Cap). Mr. Palmer is President and Co-Founder of Nehemiah Manufacturing. Prior to Nehemiah, he founded Cascades Advisory Group, a strategy and operations consulting firm. 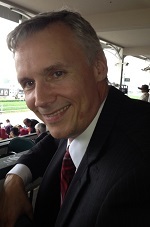 Mr. Palmer has also held management positions with Deloitte Consulting, Procter & Gamble and Ernst & Young Consulting. He received his Masters of Business Administration from The University of Michigan and his Bachelors of Science from Miami University. Nehemiah is a profit with a purpose company focused on building consumer brands, while also providing second chance job opportunities to individuals with criminal records and/or a history of addiction. In support of their mission to Build Brands, Create Jobs and Change Lives, over 80% of Nehemiah’s operations team has a felony in their background. Nehemiah markets leading national brands including Kandoo Wipes, Boogie Wipes, Downy Wrinkle Releaser and Febreze In Wash Odor Eliminator. 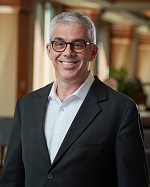 David Parks, EVP, Product Management, Innovation & Global Accounts, Berry Global, Inc.
David Parks is Executive Vice President and General Manager of Berry Global’s Health, Hygiene & Specialties business for the Asia region. Prior to this role he was EVP of Product Management, Innovation, and Global Accounts for the HHS division since 2016. From 2014-2016, David was Vice President of the Global Healthcare segment of PGI/AVINTIV; the global leader in medical barrier specialty materials. Mr. 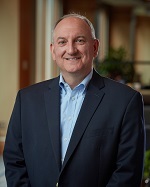 Parks joined PGI in February 2014 after holding numerous leadership positions over the prior 26 years at Kimberly-Clark Corporation. From 2001-2013, Mr. Parks held several leadership positions in Kimberly-Clark’s Healthcare division. These roles spanned Director of Manufacturing, Global Director of Supply Chain, Global Marketing Director, and General Manager of Medical Devices. Prior responsibilities at Kimberly-Clark included cross-functional roles in Engineering, Manufacturing Operations, Supply Chain, Sales, Marketing and General Business Management across Consumer Tissue, Nonwovens, Hygiene, and Wipes business sectors. He graduated from the Georgia Institute of Technology with a Bachelor of Science in Mechanical Engineering. He and his family reside in the Charlotte, NC. Berry Plastics Group, Inc. (NYSE: BERY) is a leading global manufacturer and marketer of value-added plastic consumer packaging and engineered materials. 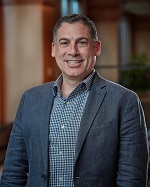 Chris Peart, President/CEO, Tenowo, Inc.
Mr. Peart is the President and CEO of Tenowo, Inc., which is the North American division of Tenowo GmbH. He has been with Tenowo for three years and has worked in sales, product engineering and business development within the nonwovens industry over 19 years. With sites in Europe, North America and Asia, Tenowo GmbH is a market leader in the development and manufacture of innovative technical textile products and nonwovens. Globally, Tenowo has become one of the leading suppliers of technical nonwovens for the automotive industry, as well as other industrial applications. For more than a quarter of a century, Tenowo Inc. has produced innovative nonwovens in Lincolnton, North Carolina. With an emphasis on individualized solutions for customers, you can find Tenowo nonwovens in nearly all cars manufactured in the North American market. Mr. Peters is the Director of Global Strategic Sourcing at Rockline Industries, a global private branded supplier of personal care and household wet wipe products. He has been with Rockline since 2001. 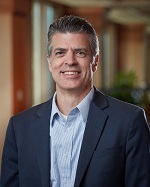 Prior to that, he was the Director of Purchasing at Avery Dennison, held leadership roles at MeadWestvaco, Kendall Healthcare Products Company, and Peterson Shipbuilders, Inc. Mr. Peters has been a member of INDA since January 2002 and has participated in all IDEA exhibitions, VISION, and WOW conferences. Additionally, he participates in EDANA’s INDEX exhibitions and OUTLOOK conferences. Rockline Industries is a Wisconsin based, family-owned company founded in 1976. It is one of the world’s largest private-label manufacturers of wet wipes and coffee filters, employing over 2,200 people worldwide. 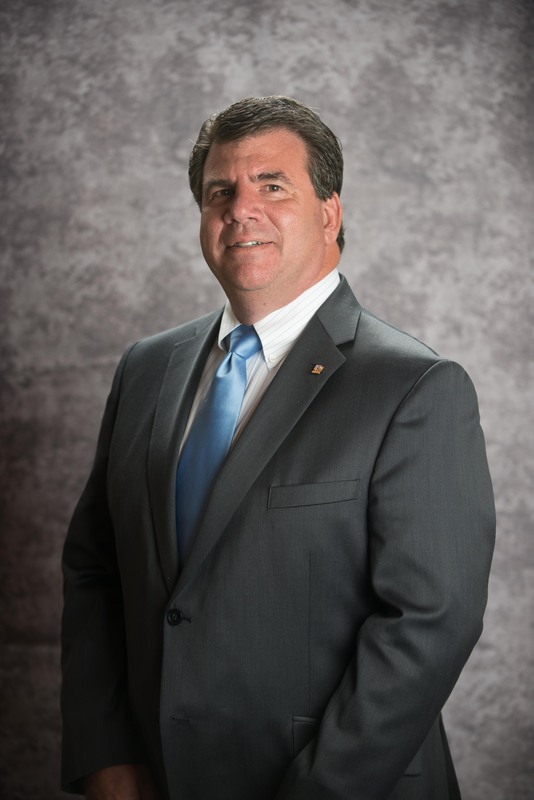 Jeff Slosman, President, National Wiper Alliance, Inc.
Mr. Slosman earned a B.S. degree in business from Wake Forest University in 1988 and joined the family business after graduating. In 1996, he ventured out on his own and started National Wiper Alliance. He was honored by the SBA as the ‘2015 North Carolina Small Business Person of the Year’. Currently, Mr. Slosman serves on the Board of Directors of the Asheville based MEA (Manufacturing Executive Association). 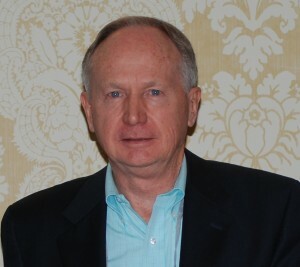 Over the years, he has served on the Board of the Economic Development Commission for Asheville Area Chamber of Commerce, the Asheville Area Chamber of Commerce, NCSARDA (North Carolina Search and Rescue Dog Association), North Carolina March of Dimes, Pisgah division and SMART (Secondary Material and Recycled Textile Association). National Wiper Alliance, headquartered in Swannanoa, NC, specializes in private labeling and contract converting of nonwovens. In 2015, National Wiper Alliance received the following accolades: NC Chamber of Commerce ‘Manufacturer of the Year’ – Honorable Mention; Business NC Magazine – ‘NC Small Business of the Year’. In 2016, National Wiper Alliance was recognized by Wake Forest Family Business Center as the ‘NC Family Business of the Year’ in the large business category. 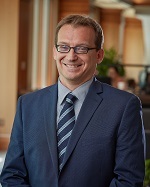 Mr. Smits is the President and CEO at Tufco. He is a financial executive with in-depth operational experience and documented expertise in enterprise systems implementations, continuous improvement initiatives, inventory valuation, cost accounting, strategic and financial planning, budgeting, forecasting, and currency risk management. Extensive participation in 6 Sigma initiatives and development of operational measures of performance. Tufco is a contract manufacturer of branded wet wipes primarily in the Baby Care, Personal Care, Industrial and Cleaning Categories. The main facility is located in Green Bay WI. There is also a plant in Newton NC that converts thermal coated receipt paper for the retail and banking industries. Tufco is a Privately Held manufacturing company that is one of the largest contract converters of branded wet wipes. The company was established in 1974 in Green Bay WI. Mr. Zaiser is a Chemical Engineering graduate from the University of Delaware with more than 35 years of experience in the Chemical Industry. Mr. Zaiser began his career with Hercules Incorporated in the Pulp & Paper Industry, holding a number of senior positions within Hercules before joining FiberVisions in 2005 as President & General Manager of ES FiberVisions, a 50/50 joint venture between FiberVisions and JNC of Japan in the area of Bicomponent fibers. Mr. Zaiser was appointed Chief Marketing Officer of FiberVisions after it was acquired by Indorama Ventures PCL in 2012. Since 2014, Mr. Zaiser has served as the CEO of FiberVisions and the COO of ES FiberVisions. FiberVisions is a wholly owned subsidiary of Indorama Ventures Public Company Limited, and is the global leader in developing, manufacturing and marketing polypropylene staple fibers for the Hygiene industry. ES FiberVisions, a joint venture with Japanese company JNC, is the world’s leading supplier of polyolefin bicomponent fibers. FiberVisions operates plants in the US, Denmark, and China; while ES FiberVisions operates plants in China and Thailand and is supported by additional JNC plants in China and Japan. FiberVisions has been in the synthetic fibers business for more than 50 years and prides itself on using proprietary technology and state-of-the-art manufacturing facilities to supply innovative products to customers in industries such as hygiene, textiles, automotive and construction. Mr. Jones is CEO of Precision Fabrics Group, where he focuses the majority of his time managing the Nonwoven Business Division. He has been with Precision since 1988, when the management team along with the support of outside investors purchased the business from Burlington Industries. Precision is an engineered materials company, focused on highly technical, high quality woven and nonwoven fabrics and composites. Within the nonwovens industry, Precision designs and produces a diversified product line, sourcing a broad range of nonwovens, and adding value by utilizing finishing, coating and laminating technologies. 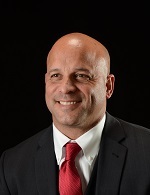 Mr. Santoleri is VP of Manufacturing & Strategic Sourcing for Rockline Industries and a member of their Executive Leadership team with responsibility for global manufacturing of folded wet wipes, nonwovens sourcing, and engineering. He has been with Rockline since October 1999. Prior to that he spent his career with Kimberly-Clark Corporation.